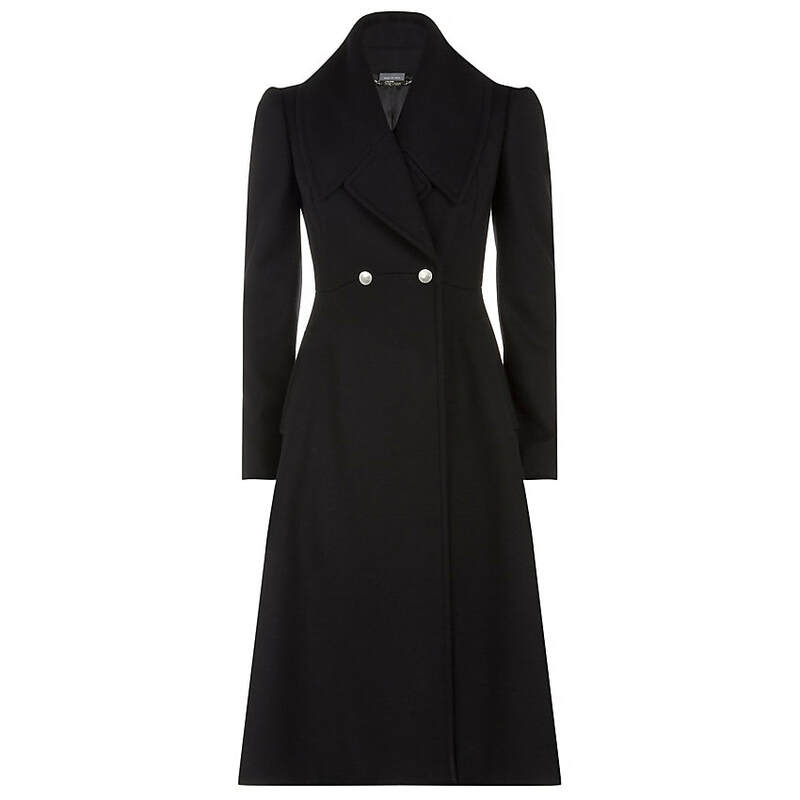 The Duchess of Cambridge debuted this double-breasted coat from Alexander McQueen on Remembrance Sunday in November 2014. 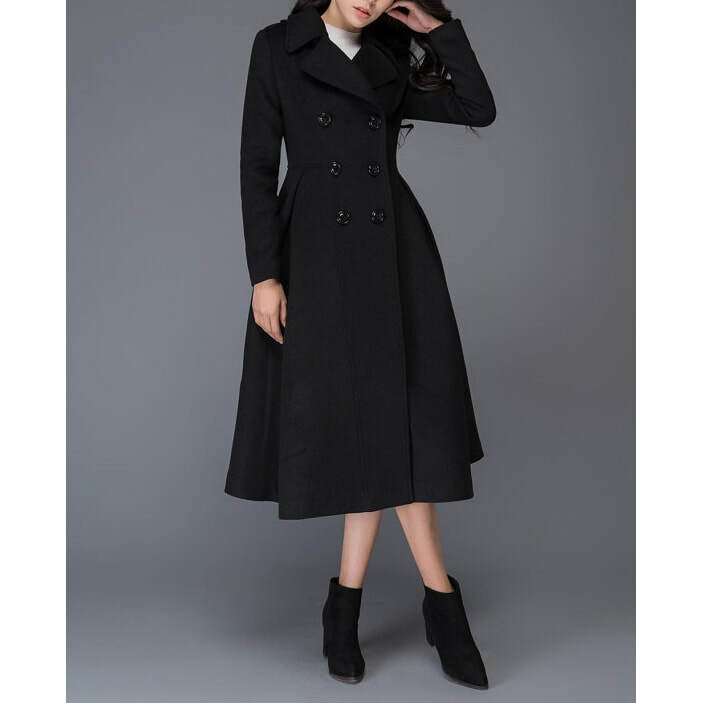 The pure wool coat has a military-inspired design featuring an oversized lapel, a nipped waist and a softly pleated flared skirt. 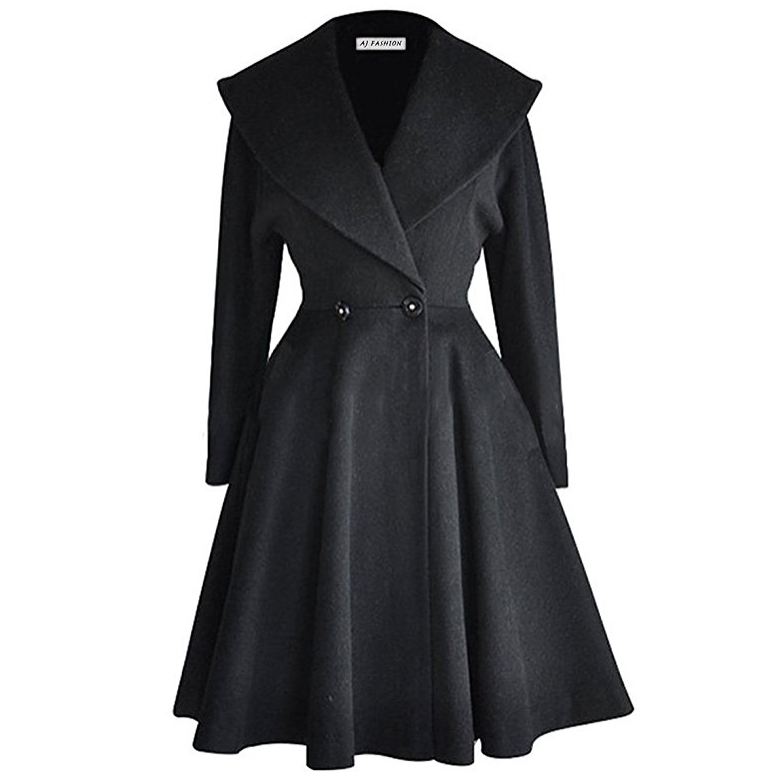 STYLE FILE: Alexander McQueen Black Flared Wool Coat as seen on Kate Middleton, The Duchess of Cambridge.